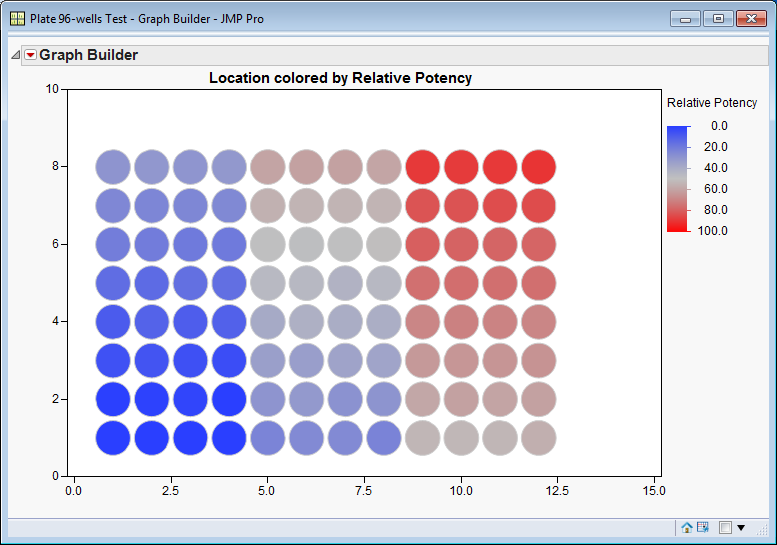 The last couple of versions of JMP have extended data visualization in so many ways and made it easier to create these graphics, too. One recent addition to Graph Builder is shapes. 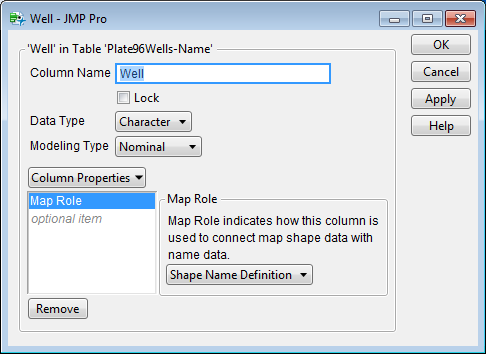 JMP is installed with a set of shape files for the geographic boundaries of world countries, states and counties in the USA as well as first-level divisions for Canada, China, the United Kingdom, France, Italy, Japan and Germany. 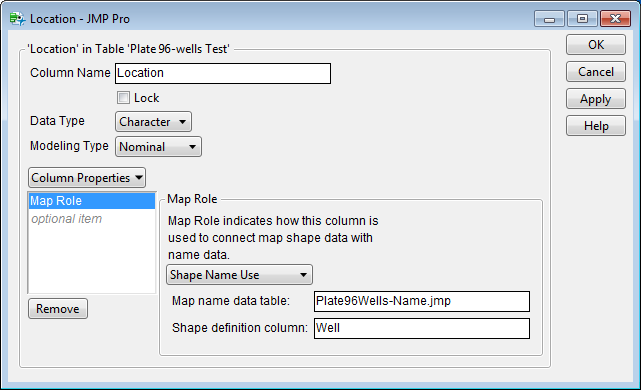 You simply include a data column in which the levels are the standard name for a particular shape in a column of character data (e.g., “Maine” or “ME”), and JMP will recognize it when you put this column in the shape role of Graph Builder. In this example, all of the shapes contain a single part. That is, each well is represented as a simple circle. Imagine, though, a case of a floor layout in a building. You might have many shapes for this case, and some of the shapes might require multiple parts for a proper representation. 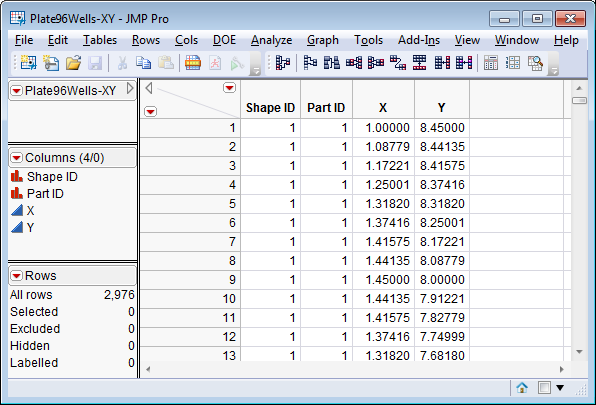 Each part ID is associated with a set of X and Y coordinates. The set of coordinates represent the vertices of a polygon that will be drawn by Graph Builder to represent the part. I included 30 vertices for each part (well) so that it will look like a smooth circle. It would be a tedious job to create both shape files even with much less resolution. I wrote a script to automatically create both shape files. 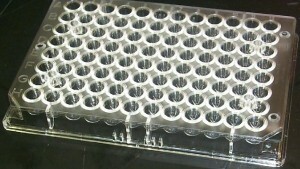 It is easy now to relate the change in the response with the design of the experiment and the location of each sample or reaction. There are three large blocks and a gradual change within each block. 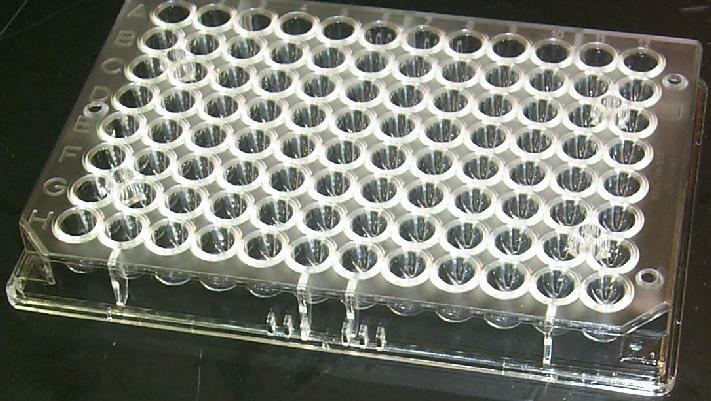 Would you like to use these microtitre well shapes? 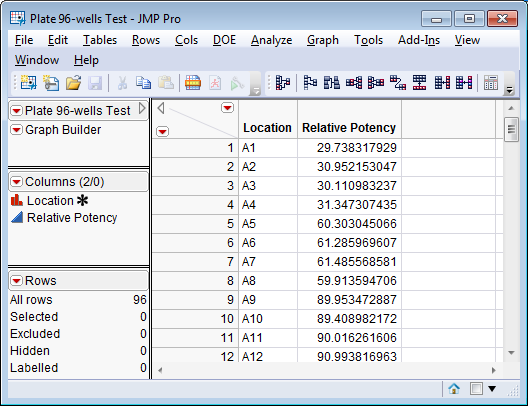 You can find them in the JMP File Exchange (download requires a free SAS profile). 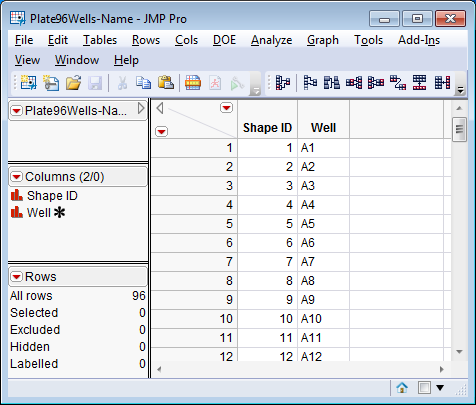 You can read more about using shapes in the JMP guide, Basic Analysis and Graphing, which is available through the Help system: select Help > Books. Thank you, these are helpful.